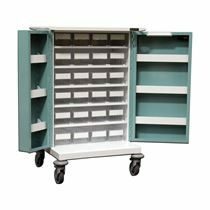 Trolleys and carts can make the jobs of healthcare professionals much easier. On a day-to-day basis medication is having to be dispensed all over a hospital and transporting it is much easier with the use of trolleys and carts. 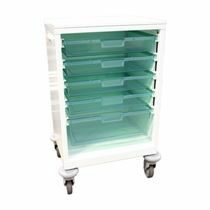 We have a variety of products to suit your needs including dispensing trolleys, medicine dosing system trolleys, care tray trolleys, two-tier carry carts, linen trolleys and laptop trolleys.